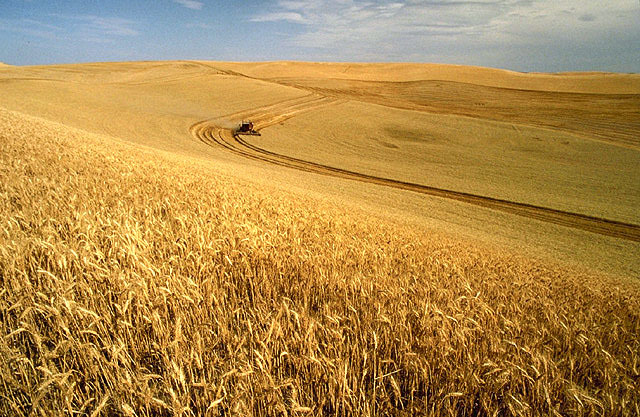 THE latest USDA report into prospective United States crop plantings has forecast the country’s planted wheat area will fall to 18.7 million hectares (Mha) in 2017, the lowest since record-keeping began in 1919. The report is based on data collected from farmers in March, and puts the total US area for winter and spring wheat varieties and durum at eight per cent below the area sown to wheat in 2015/16. 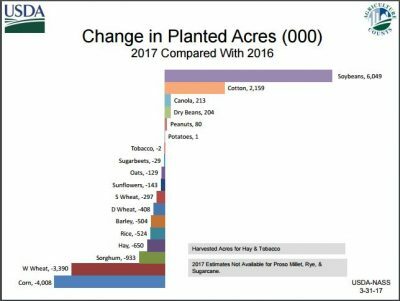 On the flipside, the soybean area forecast for 2017 has hit a record high of 36.2Mha, up 7pc on the 2016 area, reflecting planting intentions being up or unchanged in 27 of the 31 estimating states. Areas planted to canola, peanuts and lentils are also forecast to increase, while reductions are forecast for corn, down 4pc from 2016, as well as sorghum, oats, barley, sunflower and rice. The cotton area is also forecast to rise, up 21pc to 4.9Mha, on the back of a strong outlook for prices and an end to drought in some key areas. The intended durum planted area for 2017 is estimated at 894,000ha, down 17pc from the previous year. The 2017 winter wheat planted area, at 13.2Mha, is down 9pc from last year, while spring wheat for 2017 is estimated at 4.6Mha, down 3pc from 2016. Co-principal of pool operator AvantAgri, Malcolm Bartholomaeus, said the drop in US wheat area was likely to have little effect on global prices while stocks remained high. “It’s a pretty small acreage in the US, but the USDA stocks report shows those reserves hadn’t reduced as much as was expected, and we’re going to need more than reduced acreage to pull high stock levels down,” Mr Bartholomaeus said. Mr Bartholomaeus said price signals were definitely telling growers to increase oilseed areas at the expense of cereals, and that might put some price pressure on soybeans. “That shouldn’t affect canola prices too much, because stock levels in canola will get tight, and rapeseed area in Europe is not expanding due to herbicide issues.